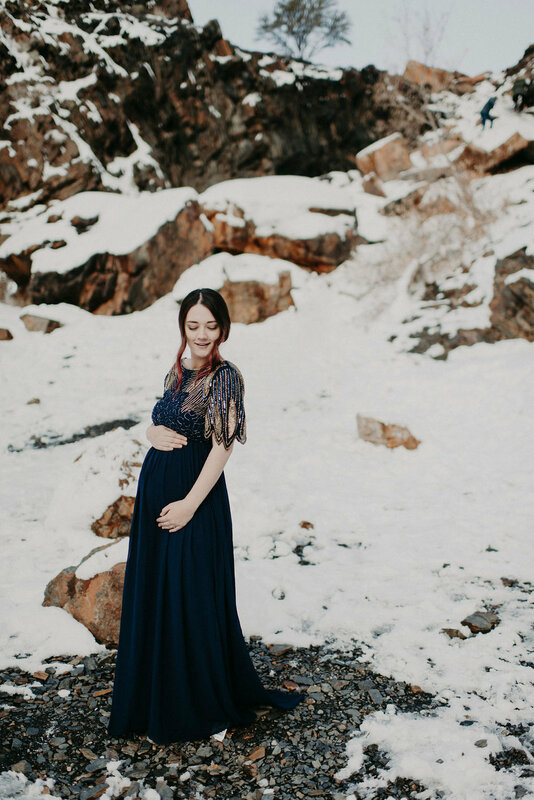 As soon as we found out that we were having a little Winter babe I imagined this beautiful Winter shoot, covered in snow, in the Utah mountains. I had envisioned some sort of gorgeous long gown, I had no idea what color scheme we’d end up with, but the navy blue we found ourselves in turned out SO perfectly. I found this beautiful dress on ASOS - it is a non-maternity and for some reason I thought that I would fit in my pre-pregnancy dress size at 37 weeks pregnant .. (insert hysterical laugh here). This dress also arrived just a few days before our shoot, so I just had to make it work! Alec’s outfit is pieced together, Black jeans he had, button down from ASOS, velvet blazer from H&M (which is currently sold out). 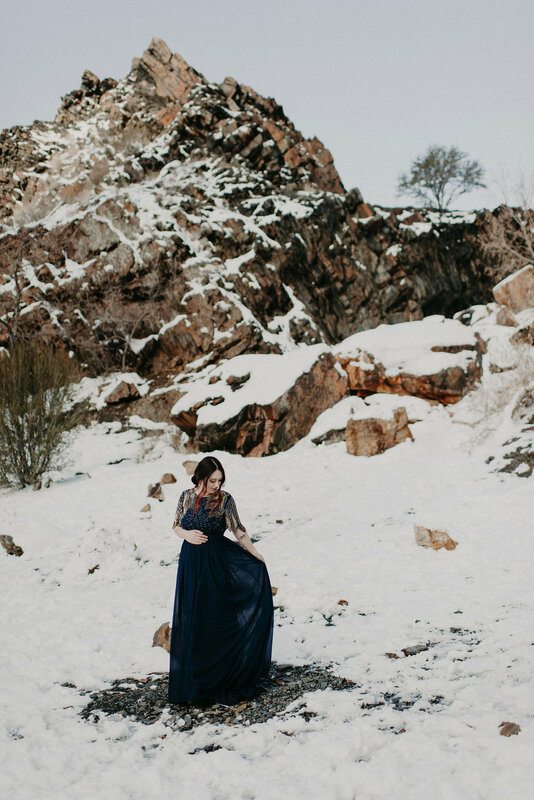 We ventured up Big Cottonwood Canyon, with my very pregnant self, in the freezing cold, and Portraits by Meg captured these beautiful images. We also took a few photos in casual outfits - that I feel like i’ll never be able to share now that i’m not rocking a baby bump. So I will share them here!